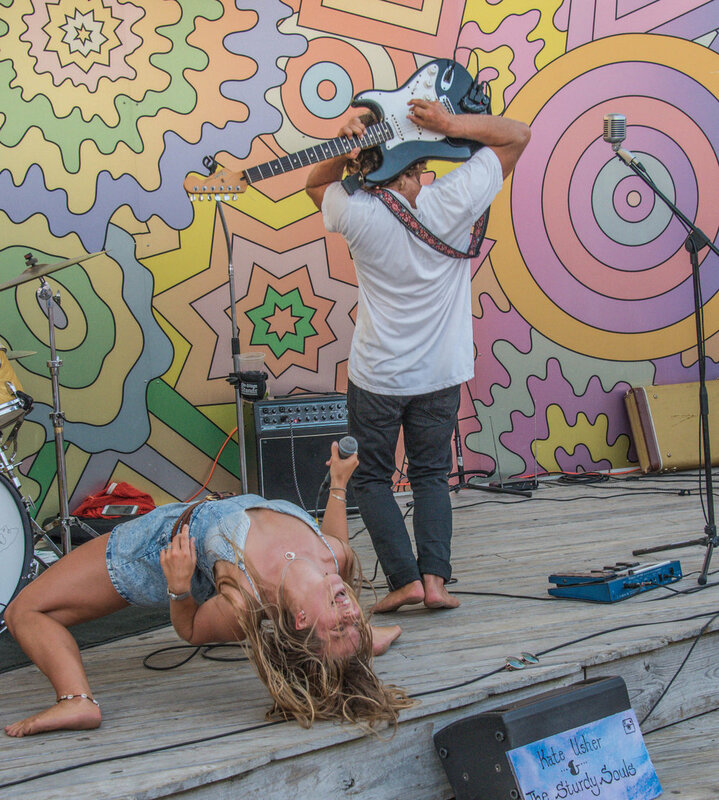 Kate Usher & the Sturdy Souls are an alternative soul pop rock band formed in Montauk, New York. Led by lead singer Kate Usher & multi-instrumentalist, Kevin the Kind Man, the group’s music & image reflects the beach town they met in. The sultry vocals & dancing of Kate Usher will leave your ears & eyes watering for more. Hendrix & Frusciante inspired guitar licks blissfully duel with saxophonic jazz & blues, while the rhythm section has you dancing to tunes that will be stuck in your head days following. The group opened up separately for Matisyahu and Paul Simon this past summer & performs a summer residency at renowned Hamptons venue, the Surf Lodge. A lovable acoustic duo that leads into a high-energy full band show, the group’s performance has been compared to a mix of John Mayer, Colbie Callet & Fleetwood Mac.